Must be paired with center wheels no smaller than 67mm. 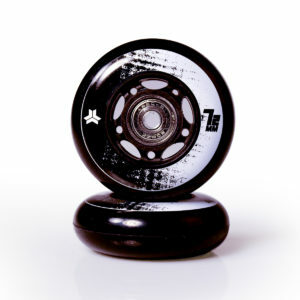 Freebord’s Greengo wheels are the latest creation from our super-secret underground Urethane Lab. While they offer a similar shape as the iconic Slasher wheels, they are poured with an upgraded urethane offering a better balance of slide and grip and well as increased durability. The Greengos are also slightly smaller coming in at 78mm, compared to the Slashers 80mm profile. As Freebord’s mid-level wheel, Greengos are great for any style of riding as well as any experience level. Set of 4 Greengo edge wheels. 78mm, 80a Must be paired with center wheels no smaller than 67mm.